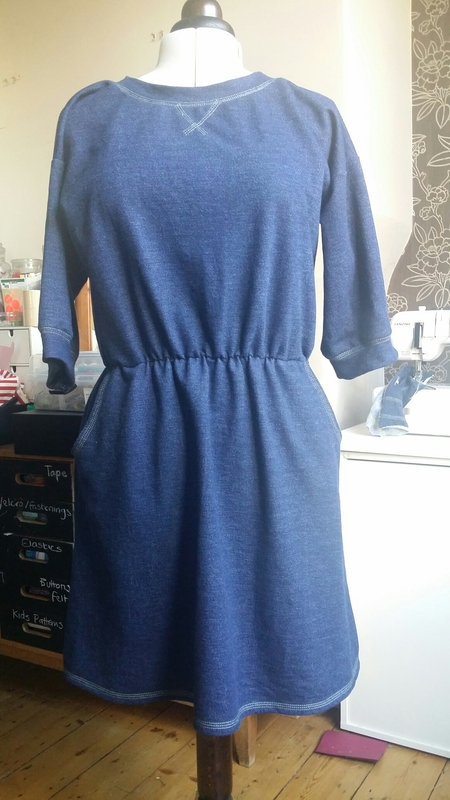 I drafted this pattern over the summer as my sister wanted an easy fitting dress she could take away with her. 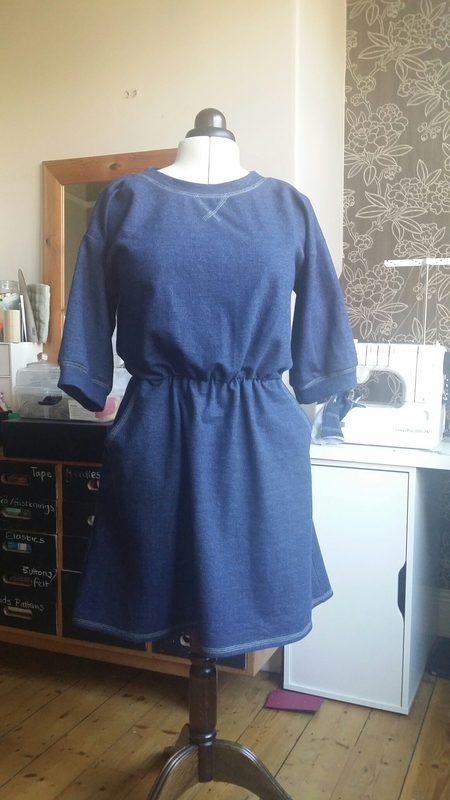 It is a jersey dress, with elasticated waist, sweatshirt style top, 3/4 sleeves and slim A – line skirt – with pockets of course! 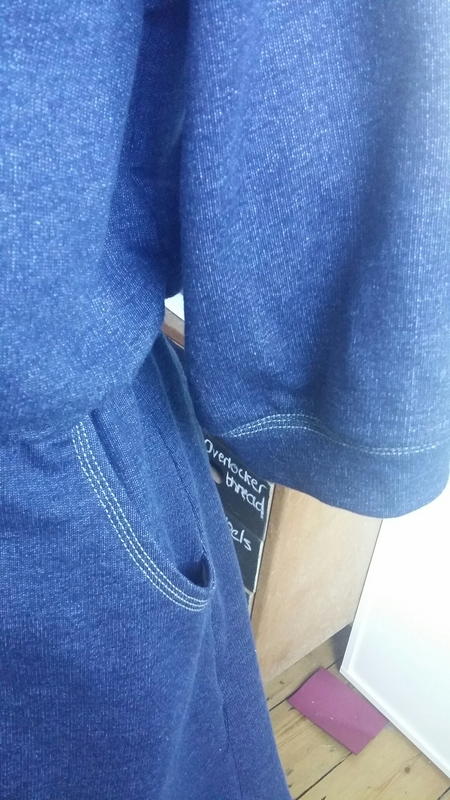 The neck and cuffs are finished with overlocked binding and I used a coverlock stitch to add some colour over the seams, pocket opening and to finish the skirt hem. 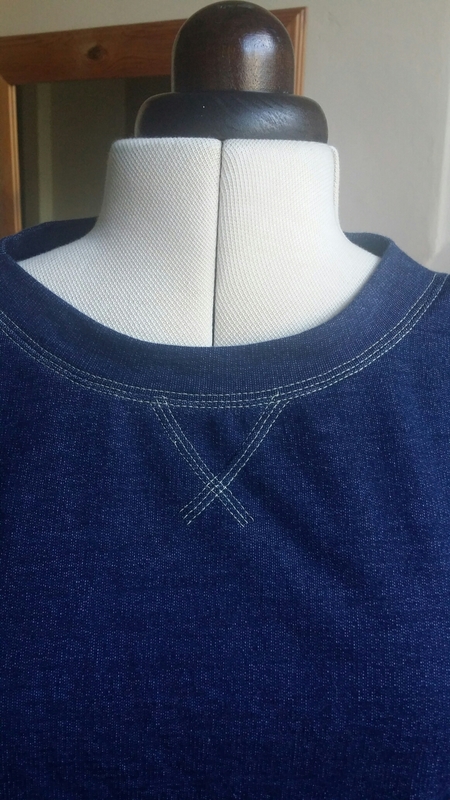 I love this denim look jersey.